This Summer everyone’s favourite beachside location, Victor Harbor, welcomes The Sailing Club. 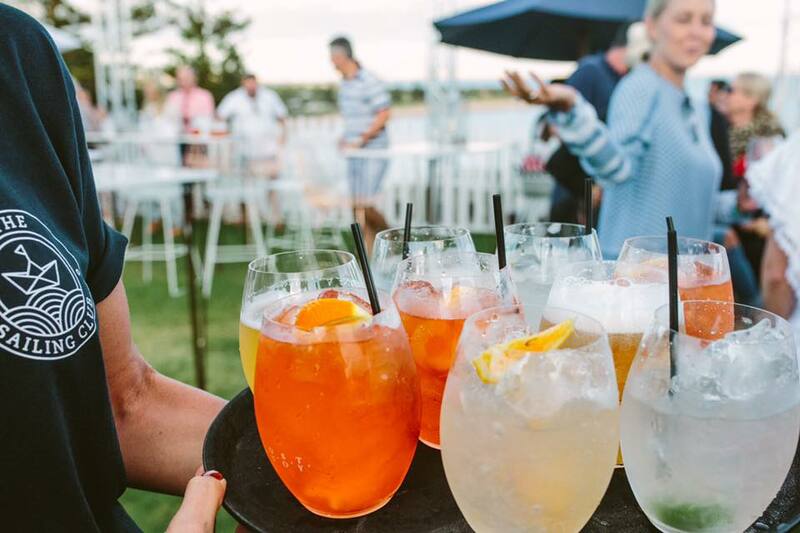 So set sail and come join us for a 3 day boutique summer festival, where you can enjoy fine wine, premium beer, gourmet cuisine and some of the best cocktails on the coast. Starting on December 29 and going out with a bang on New Year’s Eve, make sure you bring the family and friends and enjoy celebrating with us for a day or all 3. With a variety of live entertainment including solo, and duo acts, bands, DJs and kids performers you won't want to miss a minute of SA's best New Year's festival. Please note that all bars will run on the cashless system, so don’t forget your card. This year The Sailing Club is excited to introduced The Upper Deck Restaurant. Join us on the exclusive raised deck for the best views of the ocean and stage. With a gourmet menu and boutique wine selection from the private bar it doesn’t get much better than that. Please email sailingclubbuoys@gmail.com for all GENERAL ADMISSION bookings. For VIP Ticket bookings please following the links to our tickets page. We hope to see you on the Deck! For booking and all enquiries, please email sailingclubbuoys@gmail.com or fill out the form below.